Searching for a quick, easy way to transform an ordinary dining room into a sleek, sophisticated and modern setting? Pick up the Alisa 36-inch Dining Table Base. 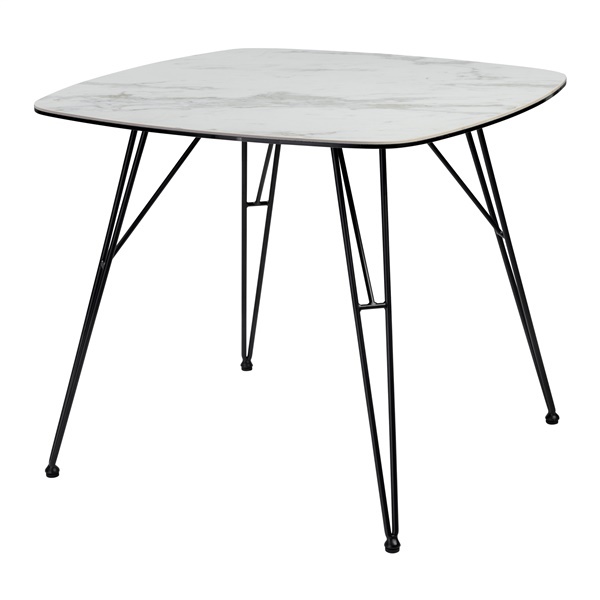 The dining table base boasts thick, powder-coated solid steel legs that are both stylish and practical. In addition, the base is incorporated into the Alisa dining table, which includes a laminated ceramic glass top that is sure to bring a touch of elegance to your dining room's d�cor. Enjoy a top-notch dining table that will dazzle day after day thanks to the Alisa 36-inch Dining Table Base. Boasts four powder-coated legs that blend style and function beautifully. Legs consist of 12 mm thick solid steel for tremendous quality. Features a sleek, modern design that adds a contemporary flair to a dining room's d�cor. Designed for use with the Alisa side chair.